The main objective of the Kyrgyz Community Based Tourism Association “Hospitality Kyrgyzstan” is to improve living conditions in remote mountain regions by developing a sustainable and wholesome ecotourism model that utilizes local natural and recreational resources. Located in the capital Bishkek, KCBTA is an umbrella association uniting 15 diverse destination communities (“CBT groups”). The CBT Association was registered on January 3, 2003 with support from Helvetas Kyrgyzstan Programme’s Community Based Tourism Support Project (CBT SP) with operations throughout the country. At now, February 2014, KCBTA consists of 15 CBT groups. KCBTA is represented in almost all regions of Kyrgyzstan. All groups are registered and operate as local NGOs. At the end of 2013 the total number of CBT members is 251 families. Beside it, more than 700 persons (drivers, guides, handicraft masters, horse owners, etc) are attracted on contract base during summer season. Traditionally CBT groups work not only with official group members but also with other villagers, like guides, grooms, cooks, porters, drivers, horse owners and handicraft masters. Cultural component was enriched by folklore shows and handicrafts actions. All these people have taken benefits and new experiences cooperating with local CBT groups. Each CBT group is an independent body. Every group has its own articles and regulations. Coordinator is an executive person in a group, who coordinates and administrates the general work of every groups. Group members conduct their internal meetings, evaluation and planning workshops, quality control measures. It is possible to increase number of CBT locations and service providers by CBT Kyrgyzstan network expansion. First of all, local people were trained on how to improve their life standards by working in tourism development. Secondly, tour products were developed together with local groups. The Association then do the marketing. 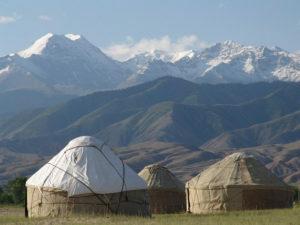 CBT Kyrgyzstan created new value and new infrastructure both for local people and tourists by creating new opportunities in the villages, where there was no tourism infrastructure and no tourists at all. Kyzyl-Oi, in Kyzyl-Oi Village of Chui Valley, had no tourists and no tourism infrastructure at all. Kyzyl-Oi is located in a narrow gorge on the riverside of the powerful Kokomeren River some 40km south of Suusamyr on the road to Kochkor Village and Son-Kol Lake and about 200km from Bishkek. The elevation is 1,800 metres asl; here, a valley opens up somewhat to form a hollow ringed by the high red-coloured mountains, which gave the place its name. Kyzyl means red in Kyrgyz. The village has 180 families only. Last year, in 2013, they have received 1 066 person/nights, which is considerable for this small mountainous village. 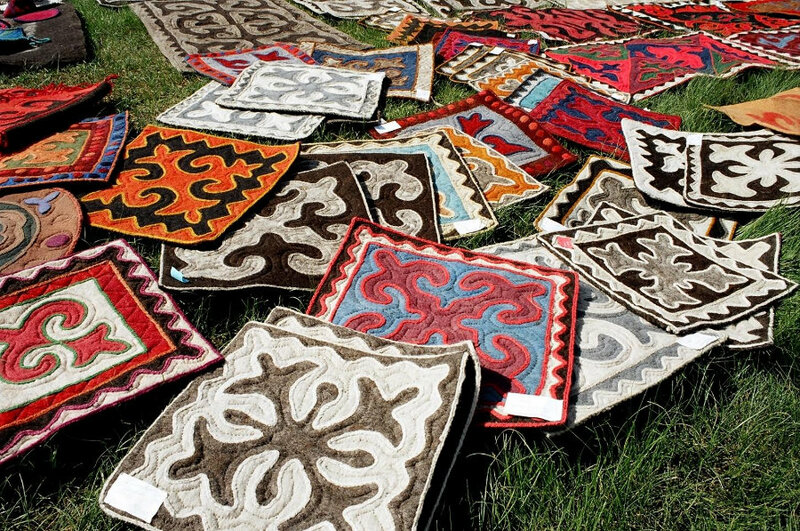 CBT Kyzyl-Oi revenue was 679 885 KGS. Another example can be Bokonbaevo Village on the southern lakeshore of Issyk-Kul Lake, where there was no tourism infrastructure at all. Despite the fact, that Bokonbaevo is a district center of Ton region and has a great potential for eco tourism, local people did not use their resources until CBT came there. CBT Bokonbaevo was founded in 2006. In 2013 local people received 1 317 person/nights with total turnover of 1708130 KGS. But the best example and success is Kochkor Village in Naryn region. Kochkor has around 15 000 inhabitants. The first CBT was founded in the village in 2000. No tourist stayed in the village until 2000. Since 2000 Kochkor is a leading location in CBT development. Last year CBT Kochkor has served 4 959 person/nights with total income of 6 398 697 KGS. Thanks to CBT project, now almost all tour operators and tourists plan their stay in Kochkor and its surrounding jailoos, like Song-Kol lake. Many rural citizens have now a chance for another income sources, beside farming and livestock. We do not have direct competition in Kyrgyzstan. There are some local service providers out of CBT network. Some of them have started from CBT long time ago. But they do not belong to the countrywide organization. 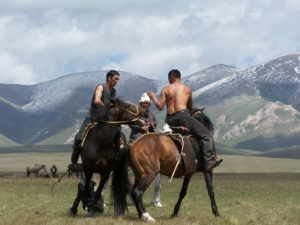 Kyrgyz tour operators may offer some similar tours or tour products. But most of their clients come through the partners abroad, some 80-90 %. Only 10-20 % of booking come from individual tourists. In turn, within CBT Kyrgyzstan bookings of individual tourists make up to 80 %. And only around 20 % of bookings come from tour operator partners. If you would like to support CBT groups and the KCBTA in reaching their goals, such as participation of local stakeholders, contribution to local economic development and promoting and practicing socially and ecologically sustainable tourism, why not volunteer with us? CBT groups in Kyrgyzstan will appreciate your contribution like i.e. language skills; looking at CBT organizations with a ‘foreign eye’ and thus possibly having the ability to give further inputs or come up with new ideas; working experience in fields relevant for CBT groups activities; technical skills and others. In return, you will have the chance to get a deeper insight into the daily work of CBT groups by actively participating in a CBT community. Moreover, there will be enough time to explore local culture, national traditions, study a new language and learn about the country’s history. If you don’t have a possibility to come to Kyrgyzstan, there is still another option of volunteering with us. You just need a computer, access to the web and you are ready for internet volunteering. CBT groups and the KCBTA will be happy to receive your support by translating or correcting documents or giving feedback on CBT activities. – Remuneration and Supervision CBT groups and / or the KCBTA will help you in organizing visa, reaching your destination after arrival in Bishkek and provide you with other information needed. During your stay in Kyrgyzstan, the KCBTA main office will be an additional supervisor for you – apart from your supervisor at CBT group. For volunteering, we cannot provide remuneration or social insurance, but each CBT group will do their best do offer you some compensation for your work – for instance, provide you with accommodation (a private guesthouse, share with local family, CBT destinations only).